To provide you with the care you need we hold the details of your consultations, illnesses, tests, prescriptions and other treatments that have been recorded by everyone involved in your care and treatment, e.g. GP, health visitor, practice nurse. This information may be stored on paper or electronically on computer files by practice staff. We sometimes disclose some of your personal health information to other organisations involved in your care. For example, when your GP refers you to a specialist at the hospital we will send relevant details about you in the referral letter and receive information about you from them. Our practice also participates in regional and national programmes such as the cervical cytology screening service and your name and address, date of birth and health number will be given to them in order to send an invitation to you. We need to use some of your personal health information for administrative purposes. In order to receive payment for services provided to you we have to disclose basic details about you to the NHS Board responsible for this area and to the Common Services Agency for the Scottish Health Service. These organisations have a role in protecting public funds and are authorised to check that payments are being properly made. We are required to co-operate with these checks and the disclosure of your data is a necessary part of our provision of healthcare services. Sometimes we may participate in studies that are designed to improve the way services are provided to you or to check that our performance meets required standards and benchmarks. Whenever we take part in activities such as these we will ensure that as far as possible any details that may identify you are not disclosed. We are sometimes involved in health research and the teaching of student nurses, doctors and other health professionals. We will not use or disclose your personal health information for these purposes unless you have been informed beforehand and given your consent for us to do so. 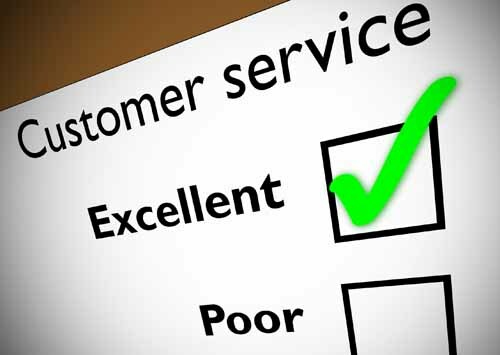 Where you need a service jointly with a local authority we will seek your permission before giving them your details. Sometimes we are required by law to pass on information, e.g. the notificaiton to the government of births and deaths and certain diseases or crimes are a legal requirement. Our use of your personal health information is covered by a duty of confidentiality and is regulated by the Data Protection Act. The Data Protection Act gives you a number of rights in relation to how your personal information is used, including a right to access the information we hold about you. Everyone working for the NHS has a legal duty to keep information about you confidential and adheres to a Code of Practice on protecting patient confidentiality. Anyone who receives information from us is also under a legal duty to keep it confidential. The Freedom of Information (Scotland) Act 2002 obliges the practice to produce a publication scheme. A publication scheme is a guide to the "classes" of information the practice intends to routinely make available. In accordance with the Data Protection Act 1998 and Access to Health Records Act, patients may request to see their medical records. Such requests should be made through the practice manager and may be subject to an administration charge. No information will be released without patient consent unless we are legally obliged to do so. If you have a complaint about our service or your treatment we would welcome an early opportunity to discuss this with you, and would suggest you contact in person (or in writing) your doctor or the practice manager to discuss the matter. Any complaint will be investigated promptly and thoroughly and you will be informed throughout of any conclusions or actions taken. If you remain dissatisfied with the responses to your complaint, you have the right to ask the Scottish Public Services Ombudsman to review your case. The SPSO is an independent body established to promote improvements in healthcare through the assessment of the performance of those who provide the service. To expect that, during all your dealings with the practice, the doctors, the staff and other health professionals who may be involved in your care will respect your right to confidentiality at all times. To expect that during all your dealings with the practice you will not be discriminated against on the grounds of age, gender, disability, medical condition, sexuality, race, religion, cultural preferences or beliefs. Please inform us as soon as possible if you cannot keep an appointment as this allows us to give it to someone else. Please treat all members of the Primary Care Team with courtesy. Please comply with all measures put in place to ensure the health, safety and well-being of everyone in the surgery building. Please let us know as soon as possible of any changes in your address and telephone number. Please use the service we provide with patience and understanding; to request home visits only if it is very difficult for you to attend the surgery; do not make non-urgent telephone calls at morning busy times; give us sufficient time to process your prescription requests. In cases other than violence and abuse the decision to remove a patient from the list will only be made after careful consideration and not in the heat of the moment. Any decision will only be made after discussion at the partnership level. Alternatives, short of removal, will be considered. These might include transferring the patient's care to another partner (with the consent of both parties) or persuading the patient that it would be better for all concerned for them to go to another doctor outside the practice. Patients will be advised that continued misuse of the service may lead to their removal from the list. If all else fails and the partnership as a whole agrees that it is not in the best interests of either patient or doctor for an unsatisfactory relationship to continue, it will be necessary to remove the patient from the list. This practice considers aggressive behaviour to be any personal, abusive and aggressive comments, bad language, physical contact and aggressive gestures. No abuse of staff is acceptable whether verbal or physical. All abuse will be reported to the practice manager who will keep a log of incidents. In the case of violence towards doctors or staff, patients will be instantly removed from the practice list and the police informed.